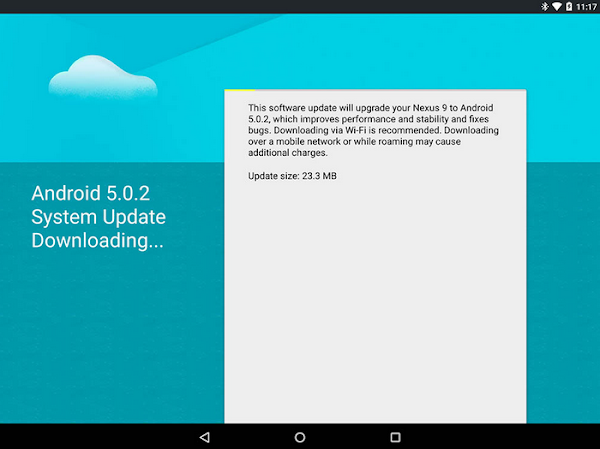 Google's flagship Android tablet, the Nexus 9 is finally receiving the Android 5.0.2 update. Keep in mind that Google is already rolling out the Android 5.1.1 update to older devices like the Nexus 7 and Nexus 10, so its strange to see their top tablet being sidelined from the latest versions of Android. Android 5.0.2 is a relatively minor update, aimed at fixing bugs and weighing only 23.3MB in size. 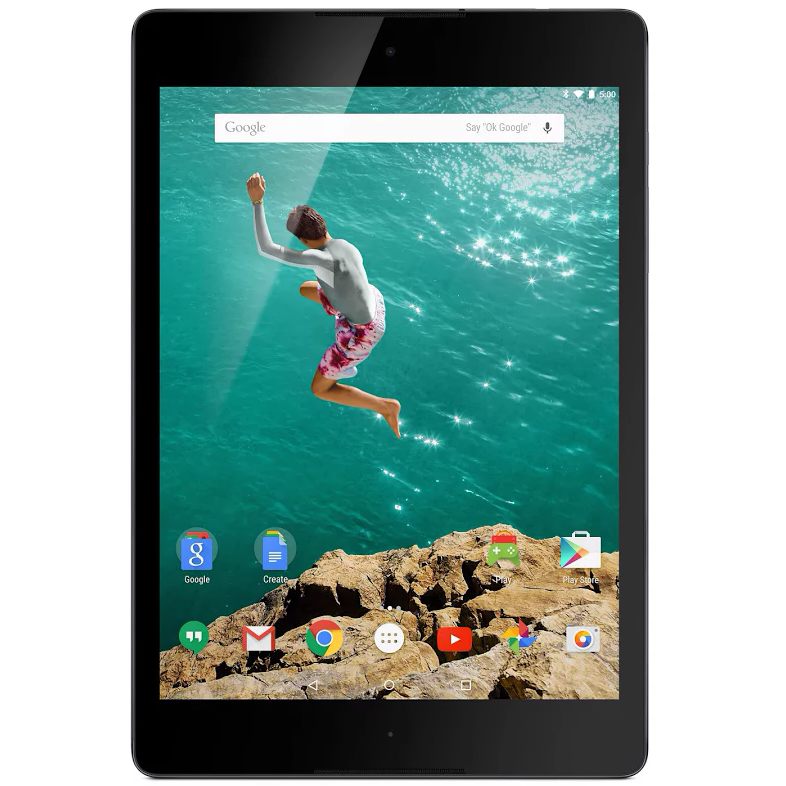 Its not really clear why Google has struggled to offer the newest updates to the Nexus 9 in a more timely manner. One theory is that the NVIDIA Tegra K1 processor is the cause of the delays in the Nexus 9 receiving quicker updates. We have seen other manufacturers struggle in the past to bring quick updates to custom chips. Hopefully Nexus 9 owners wont often find themselves behind the others for future Android updates. However, there is a possibility that the Android 5.0.2 update is a required pre-requisite for Android 5.1.1 and hopefully the Nexus 9 will be updated shortly to the latest build of Android. The Nexus 9 is arguably the best tablet from Google to date, featuring an 8.9 inch display with a 1536 x 2048 pixel resolution, up to 32GB of internal storage, an 8MP rear camera, a 1.6MP front camera, a 6700mAh battery and a 2.3GHz 64-bit dual-core "Denver" processor with a Kepler DX1 GPU and 2GB of RAM. The tablet is offered in a Wi-Fi only and a Cellular model. Those Nexus 9 owners who are no longer running stock Android, and want to revert to Android 5.0.2 can download the factory images for the update, which Google have also posted for your convenience. The new images are available for both the LTE and WiFi variants of the Nexus 9.